Cynthia Robbins-Roth, Ph.D., is the founder of BioVenture Consultants, which provides strategic planning and financial assessment to biotech start-ups, pharmaceutical companies, and venture-capital firms. Her biotech column appears regularly in Forbes magazine, and Forbes ASAP recently named her one of the top twenty-five biotech All-Stars of 1999. She lives in San Mateo, California. "A fascinating glimpse inside the life-and-death business of biotechnology. 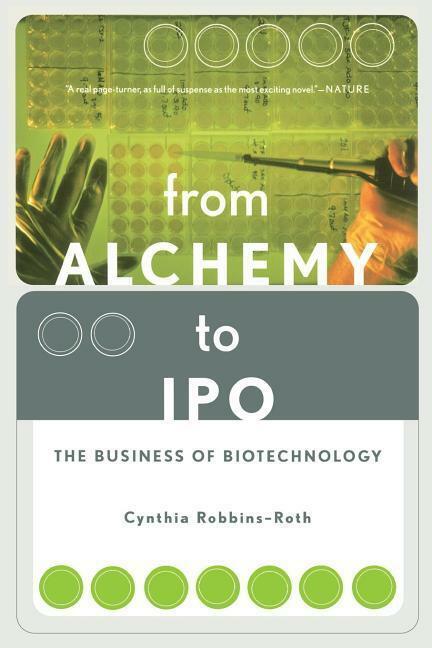 A tour-de-force for anyone who is interested in the biotech industry. I applaud the enormous achievement of Cynthia Robbins-Roth." -Frederick Frank, Senior Managing Director & Vice Chair, Lehman Brothers "From Alchemy to IPO tells the dramatic story of this revolutionary industry as only an insider can." -George Rathmann, President and CEO, ICOS Corporation, Chairman Emeritus, Amgen"